A regional daily is set to move into a new city centre home later this month. Leicester Mercury staff will begin transferring to offices on the city’s pedestrianised New Walk from 17 March, with the newspaper’s editorial department following seven days later. The Mercury was told in October to vacate Mercury Place, its headquarters for around 50 years, after a music licensing company took on a new lease with the building’s landlord, Daily Mail publisher DMGT. The New Walk premises is around half a mile from Mercury Place, and sits in between a Roman Catholic Dominican priory and a disused pub. 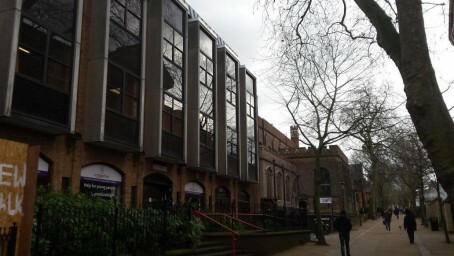 The building, owned by Leicester City Council, was previously used by careers guidance service Connexions. Mercury staff will take up the ground and first floors of the building. David Simms, Trinity Mirror’s regional managing director for the East Midlands, said: “New Walk presents an opportunity to move into a building which is fitted out to service a modern publishing multi-media operation.